The end of another financial year is fast approaching and now is a great time to think about the ways you can build and protect your wealth. In this article we take a look at some of the key opportunities that you can potentially take advantage of in the lead up to 30 June. If you have surplus cash flow this financial year, you may wish to consider making additional concessional contributions to superannuation. Doing so may mean you pay less tax this financial year and retire with more superannuation savings. The concessional contribution cap is an annual limit which for this financial year is $35,000pa for people who were aged 49 or over on 30 June 2014 and $30,000pa for everyone else. This cap is offered on a ‘use it or lose it’ basis so if you don’t make the maximum contributions, any remaining amount cannot be carried forward or used in future years. Your superannuation guarantee (SG) and any salary sacrifice contributions will count towards this cap. If you want to increase your salary sacrifice you may need to act now as you can only salary sacrifice remuneration that you haven’t yet earned (i.e. any income you earn between now and 30 June and/or beyond 30 June). Don’t forget your obligation to make Superannuation Guarantee (SG) contributions of 9.5% this year if you have paid yourself or any employee wages. You also have more flexibility to make concessional contributions at any time up until 30 June. Remember if you do intend on claiming a tax deduction for money you’ve put into superannuation, you will need to complete and lodge a “Notice of Intent” form. Those who have received money from the sale of an asset, inheritance or with savings set aside, you may wish to consider making an after tax contribution to super, also referred to as a Non-Concessional Contribution. Making non-concessional contributions to super is a great way to boost retirement savings and is a tax effective long-term investment strategy due to the low tax rate payable on investment earnings in superannuation. For this financial year you can put up to $180,000pa in non-concessional contributions in to superannuation. For those under age 65, you have the option to make larger contributions to top up your superannuation of up to $540,000 using the ‘bring-forward provisions’. Depending on your income, if you make an after-tax contribution to your superannuation you may be entitled to a Government Co-Contribution of up to $500. And if you top up your spouse’s super you may receive a tax-offset of up to $540. Being the trustee of your own self-managed super fund comes with a range of responsibilities. Each year, SMSF’s are required to provide certain information regarding the assets of the fund at 30 June. And if you run a pension within your fund, then it’s important to double check you have paid at least the minimum pension for the financial year. If you’re considering selling assets that trigger a capital gain or capital loss it can pay to seek professional advice on the timing of the sale as any capital gain or loss made will be assessable in the current financial year. Deferring the sale of assets may defer the capital gain until future financial years and defer any capital gains tax (CGT) liability. This may be an appropriate strategy if your income in future is likely to be lower than the current financial year. If you hold an asset for under 12 months, sell it and make a profit, tax will be payable on the entire gain. Deferring the sale of this asset until after you have held it for 12 months or more will attract the general 50% CGT discount. If you have an investment loan you could consider pre-paying 12 months interest expense to bring forward a deductible expense and reduce this year’s assessable income. You can implement a similar strategy if you hold an income protection policy in your personal name. Prepaying 12 months’ worth of premiums on the policy will bring forward a tax-deduction and may reduce the tax you pay this financial year. Any donations made to a charity (or “Deductible Gift Recipient”, in tax office jargon) over $2 are tax deductible. There is an ability to spread a deductible donation over a number of years, however you need to make an election to do this. This could allow for the donation to be maximised for its tax deductibility. If you wish to take advantage of this election, you should speak to your taxation adviser. 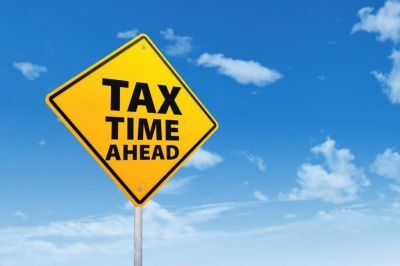 The best tip when it comes to End of Financial Year planning is not to leave it until the last minute as a little planning now could save you some tax. For more handy tips, see last year’s article “Stop Horsing Around – Tax Time Tips” or speak to your Financial Adviser about how to take advantage of the tax planning opportunities that are available to you between now and 30 June.